Developments in mailing equipment have made mailing easier than ever, transforming what once were manual mailing processes into more efficient automated systems. New mailing technology now even allows you to download postage from online and print it directly onto your outgoing mail. Whether you send just a few pieces of mail a day or perhaps even several thousand, R.K. Black, Inc., offers this same technology to you. One monthly competitive lease price including meter, mail machine, service and rate changes. We are one of only two dealers in the state for FP Mailing Solutions, one of the fastest growing mailing systems manufacturers in the world. 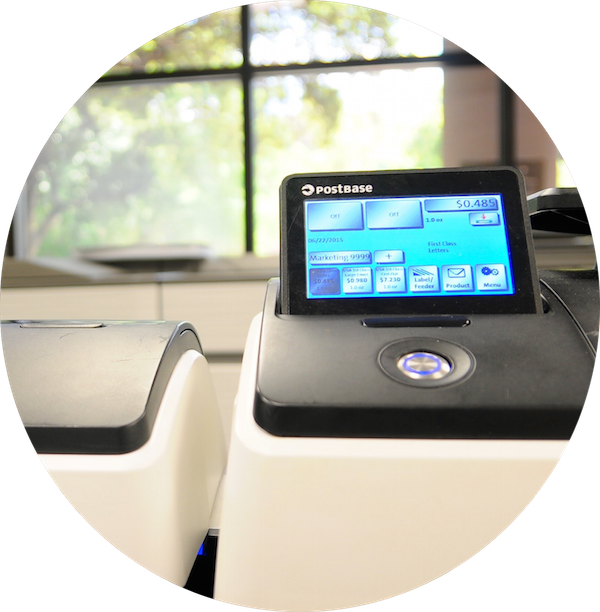 They create and we are dealers for their postage meters, folder inserters, letter openers, addressing equipment and mailing software. To learn more, call us at (405) 943-9800 and ask for Mike Kelly, our mailing systems manager or click on the button below and tell us about yourself and your need. Then expect a call — right away. While R.K. Black Shredding is partnering with Susan G. Komen Central and Western Oklahoma in the fight against breast cancer, if you want to donate toward the cause and show your support for the fight with a pink mailing machine, you're in luck. 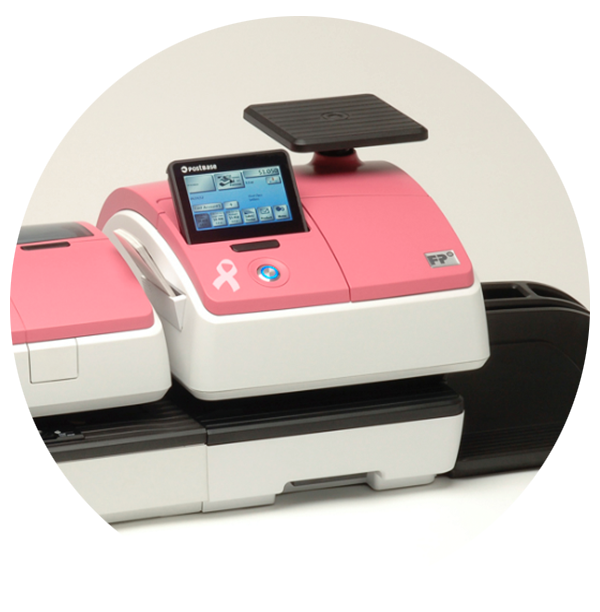 Available through R.K. Black's mailing technology partner, FP Mailing Solutions, is a pink PostBase postage meter, complete with a ribbon so you can show your support every day in your office. To learn about how you can get a pink PostBase, call us at (405) 943-9800 and ask for Mike Kelly or click on the button below and let us know what you want to know.